What does a Moldovan need to do in order to win a trip to Edinburgh, €10,000 cash prize, and a place in an accelerator programme? He/she needs to develop a climate-change-oriented business idea, apply to ClimateLaunchpad Moldova, and be part of the “winning trio” to go to ClimateLaunchpad International Final! 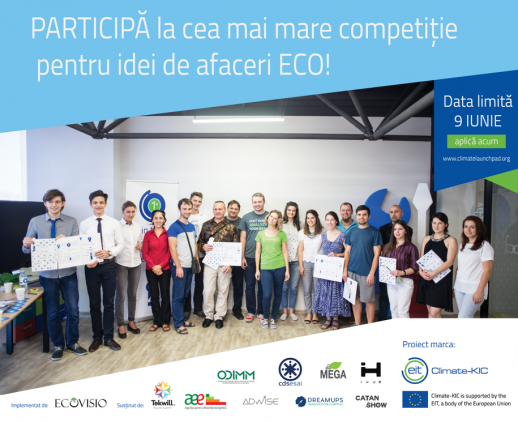 In 2018, MEGA joins our partner EcoVisio in bringing the fourth edition of ClimateLaunchpad, the world’s biggest green business idea competition, to Moldova. This year, 43 countries participate in this competition, which aims to address climate change by boosting the world’s cleantech business potential. EcoVisio is the official national partner for ClimateLaunchpad, while we support it with promotion, learning content on green entrepreneurship, and organizational matters. ”The ClimateLaunchpad (CLP) program is a great aid in helping Moldova develop its green business potential. For me, CLP is much more than a collaborative competition – it’s a community of green change-makers operating through business methods”, says Valeria Șvarț-Gröger, EcoVisio co-founder and former national lead for ClimateLaunchpad Moldova. The program kicks off with an intensive Boot Camp (30 June – 1 July) in Rîșcova, Criuleni, lead by an international coach. This will be followed by various coaching sessions throughout July and August, which will help you create a solid business plan and perfect your pitch. In September, you will present the plan at the National Final. If you become one of the top three winners, you will then go on to compete in the Grand Final, taking place in Edinburgh, Scotland (1 – 2 November). The “sweetest” part of this opportunity is that the overall winner of the Grand Final receives €10,000, the runner up gets € 5,000, and the idea that comes in third place wins € 2,500. What is more, the top ten competitors will gain access to the Climate-KIC Accelerator program for start-ups worth €105,000. For 18 months, this program will enable you, a promising cleantech entrepreneur, to grow your great idea into a rock-solid business. 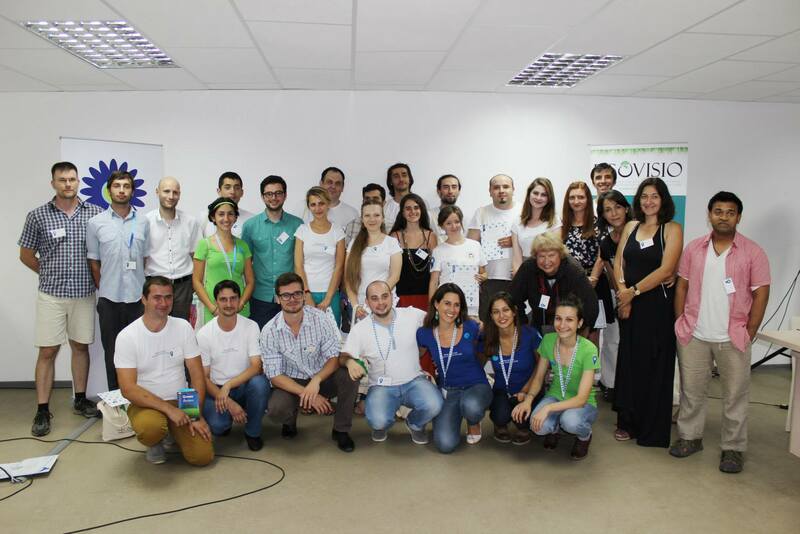 In 2015, we, MEGA, took part in ClimateLaunchpad Moldova with our first concept of MEGA Game. Back then, we succeeded in becoming one of the National Winners and went to the Grand Final in Amsterdam. Although we did not win the “sweet” prizes, we still got to know many amazing people and a number of other opportunities. 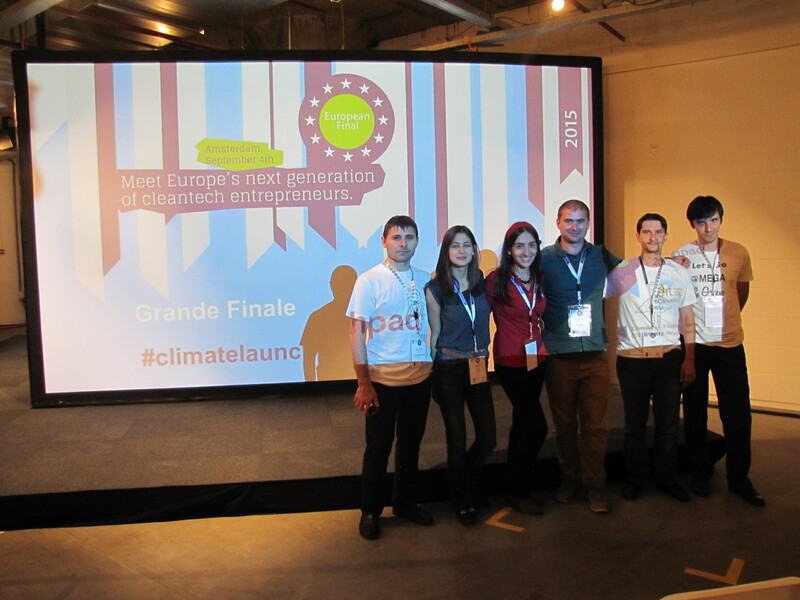 Moreover, our business idea now has a pitch page at the ClimateLaunchpad website. Because of it, potential investors and business accelerators occasionally contact us to learn about our recent developments and share their offers with us. Therefore, we definitely recommend you to take part in the program. 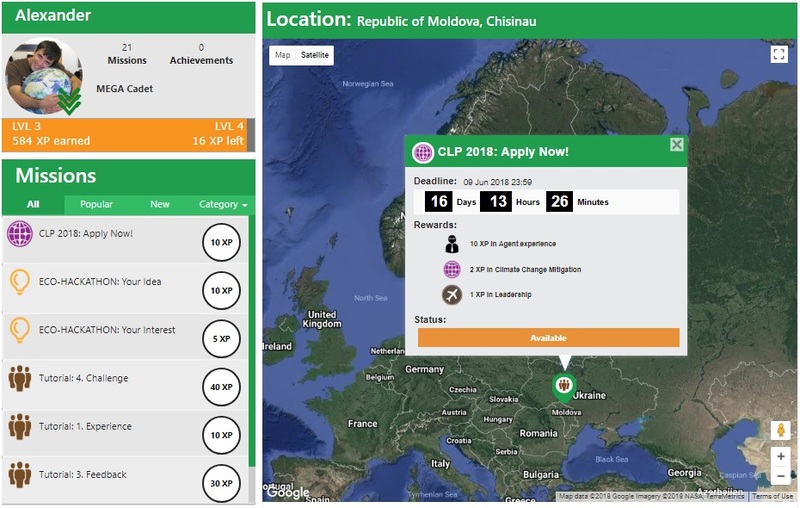 You can do it directly at the official website of ClimateLaunchpad or from the MEGA platform by accomplishing the mission “CLP 2018: Apply Now!” to get extra experience points as a boost. Applications are open until the 9th of June, 2018. Apply now and take your first step in launching your climate-improving business! MEGA: A Review of 2017	It’s tree plantin’ time!